Mr Stephen Lyttleton is an Arkonik client who received his Arkonik Defender back in 2016. He has just returned from his latest off-road adventure across Texas with his two sons. Together they covered almost 1500 miles, camping along the way in their fully kitted out D110. Stephen tells us about the big trip below. 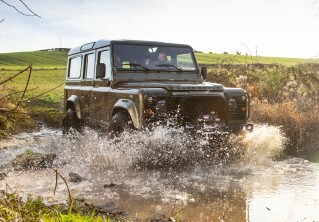 The capabilities of the Defender proved invaluable. Our journey to Big Bend Ranch was a 1,470 mile round trip from my front door. 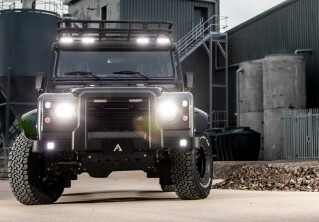 I had confidence that my Arkonik 110 Defender would get us there and tackle the rough desert terrain. As we turned off the tarmac and onto the ranch, right next to the Mexican border, the capabilities of the Defender started to prove invaluable. The path we travelled through Big Bend Ranch is rough and mostly unmaintained, requiring the transfer box to be locked and often in low gear to get up and down the steep, rocky hills. When going to a remote location like this I make sure I cover two important things: 1. being prepared with sufficient supplies/equipment (like the FrontRunner rack, rooftop tent and various attachments) and 2. having a vehicle capable of getting us in and out. It was great for my sons and I to spend 4 (cold) nights in the desert where no internet or cell connection exists. All I needed was a well-stocked, well-built Defender; along with recovery equipment in case my son’s Jeep needed rescue. Many thanks to Arkonik for building us an awesome off-road vehicle to tackle this rough terrain.